25 ways to distinguish yourself -- and be happy? "European companies are much more likely to have privacy practices that restrict or limit the sharing of customer or employees' sensitive personal information and are also more likely to provide employees with choice or consent on how information is used or shared," said David Bender, head of White & Case's Global Privacy practice." still at the "sharing sensitive information is bad"
promotional stage, I feel the research reasonable points out the lack of a systematic technical approach, bureaucracy can also be an issue, but with so many CERTs in Europe there's potential for lots of developments I think. Established in 2004, ENISA is the current body overseeing and guiding the Community towards data protection practices -- slowly, but steadily gaining grounds. "The United States uses a sectoral approach that relies on a mix of legislation, regulation, and self regulation. The European Union, however, relies on comprehensive legislation that, for example, requires creation of government data protection agencies, registration of data bases with those agencies, and in some instances prior approval before personal data processing may begin." Perimer based defenses naturally dominate as a perception of being secure, still, I feel that the growing infosec market and IT infrastructures in both the U.S and Europe would continue to fuel the growth of new technologies and also result in more informed decision makers -- at the bottom line it's always about a common goal and better information sharing. Problem - big name advertising agencies, and self forgotten copywriters easily turn into an obstacle for a newly born startup, the way marketing researchers can easily base your entire service/product development efforts on a single survey's results. Generating content, thinking content is the king, trying to sense and understand your customers' needs or where the market is heading to for the sake of responding with profitable propositions, I think is a self-centered, in-the-box mode of thinking that would cease to exist with customers becoming more informed. Solution - Don't get too "product-concept" centered, instead solve a problem profitably and retain their satisfaction for as long as possible. Let your customers dictate the rules, and perhaps even generate your entire marketing promotional efforts themselves -- literally. Did you know you could get yourself custom printed MM's? I recently found out I can, and I'm already expecting the packs. Or how the successfully positioned as a secure alternative to IE, FireFox browser actually invested pennies in spreading the word about it? Moreover, a $5000 bounty can indeed promote creativity, given they are comfortable with the idea, and with the 280 user-generated ads generated at FireFox Flicks I think they did it again, no wait, their users did it. Take your time to go through the flicks, it's worthwhile. Question the concepts, rethink them, and disrupt with whatever the outcome. "At least six states use redaction software, which digitally erases information. It can be tailored to excise nine-digit entries such as SSNs. Chips Shore, circuit court clerk for Florida's Manatee County, removed SSNs and bank account numbers from 3 million public records on the Web site. Another 2.5 million court records were redacted before going online." That's an interesting way to fight the problem from the top of it, namely personal data security breaches that never stop growing, but I wish they came up with the practice either by default years ago, or understand today's dynamics of the threat. Even if they start implementing this on a wide scale, it doesn't mean identity theft would stop occuring, or that phishing attacks wouldn't trick them into giving the complete details. Having implemented a process for securely storing, accessing and trasfering such sensitive customers' bank data, often results in complexities, but using "redaction software" when you can actually take advantage of a risk management solution, isn't the smartest move here -- yet again that's the effect of today's dynamics and ever-changing attack vectors. What's the point of putting so much efforts into sanitizing the data before going online with it, when an outsourcer, or an employee whose responsibilities include working with it will somehow expose it? Wait, forgot the naive customer who's still taking all the phishing emails received "personally". Don't think SSNs and bank accounts "redaction", but insiders and storage/database security. "DOD removes missile defense system report from Web site"
"NORAD orders Web deletion of transcript"
"Air Force One data removed from Web Site revealed details of security measures on president's jets"
"Leaks of Military Files Resume"
bring more insights on the issue. It is well known that the entire Chinese information warfare doctrine is backed up by the NCW visions of U.S's military -- they still have Sun Tzu's legacy though -- and that Al Qaeda's manuals actually quote U.S military's documents. If you know what exactly you're looking for, you will find it one way or another, just make sure information-sharing doesn't end up as an information leakage event. Going beyond achieving the balance between usability, accountability, and secrecy, I also feel that disinformation and deception are reasonably taking place as well, given the reader is actually identified and consequently influenced. Where's the real underground these days, behind the shadows of the ShadowCrew, the revenge of the now, for-profit script kiddies, or in the slowly shaping real Mafia's online ambitions? Moreover, is all this activity going on behind the Dark Web, or the WWW itself? Go through this fresh overview, emphasizing on today's script kiddies, 0days as a commodity, malware and DDoS on demand on the WWW itself, and perhaps a little bit of vendors' tolerated FUD. In a previous post, I mentioned on the existence of the International Exploits Shop, the Xshop, basically a web module where 0days, and service support in terms of videos, PHP-based configuration etc. are provided to anyone willing to get hold of a 0day/zero-day vulnerability -- scary stuff, yet truly realistic concept that's directly bypassing today's infomediaries that purchase vulnerabilities. "A Russian website is selling a spyware kit for $15. The website promises an easy-to-deploy spyware that only requires users to trick their victims into visiting a malicious website. The website even offers technical support. Carole Theriault, senior security consultant at Sophos, says such websites invite script kiddies and other unskilled would-be hackers into the world of cybercrime for profit." Rather interesting, WebSense Security Labs looked further, came up with the screenshots from the site itself, cut the last screenshot you can clearly see here (Disable adobe acrobat web capture, Disable opera user, Kill frame, Location lock, Referrer lock) but again spread the rumour of multi-exploit kit for sale at $15, of course for entering the for-profit cyber crime business -- a little bit of FUD, sure, but the sellers aren't still that very desperate I think. So, I decided to look even further and now can easily conclude -- it depends where you're buying it from, I mean even the official site sells it at a price that way too high for an average script kiddie to get hold of multi-exploits pack -- whether outdated or not can be questioned as well. So, the kit officially goes for $300 and, $25 for updates, I also came across it for $95, but I bet they are a lot of people looking for naive wannabe exploiters out there. As you can see on these screenshots, it has the ability to encrypt HTML pages, parts of the page, and take precautions for curious folks trying to figure out more about the page in question, and it makes me wonder on how well would malicious HTML detection would perform here, if it does? What's the outcome -- script kiddies with attitude are basically compiling toolsets of old exploits and building all-in-one malware kits. As you can even see, they are lazy enough not to keep an eye on its detection status, a sign of "growing" business for sure, yet the "underground" seems to Ph34r going to the Opera , so take your note. "I saw one case where an undetectable Trojan was offered for sale and the buyers were debating whether it was worth the price. They were doing competitive testing to ensure it actually worked as advertised," said Jim Melnick, a member of Dunham's team." "In November 2005, Mashevsky discovered an attempt to hijack a botnet. [The] network of infected computers changed hands three times in one day. Criminals have realized that it is much simpler to obtain already-infected resources than to maintain their own botnets, or to spend money on buying parts of botnets which are already in use," he said." "Dunham, who frequently briefs upper levels of federal cyber-security authorities on emerging threats, said there have been cases in Russia where mafia-style physical torture has been used to recruit hackers. If you become a known hacker and you start to cut into their profits, they'll come to your house, take you away and beat you to a pulp until you back off or join them. There have been documented cases of this," Dunham said." How much would you be willing to pay for an exploit? and offers trying to even add value to the purchase by offering a SMS flooder for free if you purchase the exploit. I mean, if you start thinking logically, bypassing the current intermediaries and their moody programs compared to one-to-one communication model with a possible buyer -- the entire idea behind disintermediation is the method of choice. Have 0days turned into an uncontrolled commodity that has to be somehow, at least, coordinated?! In my recent Future trends of malware research, I mentioned how open-source malware would inevitably dominate, and how the concept will put even more pressure on AV vendors to figure out how to protect from unknown malicious code -- proactively. What I came across to was, customer-centric malware propositions, special features increase or decrease the final price, botnet sources for free download/purchase if modifications are made, free advices coming with the purchase, on demand vulnerabilities, spamming or spam harvesting services on demand, price comparison for malware samples, rootkits-enabled pieces of malware indeed show an increase of growth, DDoS on demand services are usually proposed with 30 mins of service "demo". Bot's sources are also annoyingly available at the click of a button, as I verified over 20 working links with archives averaging 75MB. Who's to blame? It's not Russia for sure, and if it was it would mostly have to do with enforcement of current laws, yet the global media tends to stereotype to efficiently meet deadlines, instead of figuring out what is going on at the bottom line. When the U.S sees attacks coming from Chinese networks, it doesn't mean it's Chinese hackers attacking the U.S, but could be that sick North Korean ones are trying to increase tensions by spoofing their identities. Moreover, as I've mentioned it is logical to conclude that there are "undergrounds" on a national level, for instance for the last couple of years there's been a steady growth of defacements and phishing attackers from Brazil, Turkey, and of course China, I rarely come across anything else but "mention Russia and get over it" attitude. In respect to the Chinese "underground", according a report not to be disclosed, and so I'm not as it's fully loaded with impressive information, the Chinese underground back in 2002 used to aggressively attack U.S government's and military targets while drinking Coke from McDonald's themed Coke glass :) courtesy of the China Eagle Union themselves. Their actions in coordination with the Honker Union of China, for instance, played a crucial role in active hacktivism and continue playing it even today. Like it or not, the average script kiddie, or can we say sophisticated Generation Y teenagers, are well too informed, and obviously sellers of malicious services such as DDoS and malware on demand, than it used to be years ago. I feel it's not their knowledge that's increasing, but the number of connected computers with security illiterate users aiming to put themselves in a "stealth mode" while online in order not to get hacked, or as a friend put it, running in root mode and hiding behind firewalls - ah, the end user. You can digitally fingerprint a malicious code when you have it, that's normal, but what happens when you don't, can you fight the concepts themselves? Ken Dunham comments on "mafia-style physical torture" are the reflection of people naming their malware MyDoom and begging for botnets if you take your time to go through the quotes from Ancheta's case. Don't ph34r the teenagers, ph34r their immaturity, and ongoing recruitment practices by the Mafia itself. Totally out of the security world, yet very relevant inspirational tips for all readers feeling down, or looking for more sources of self-esteem. I've always believed that among the most important key factors for leadership is the ability to know yourself, and to understand the time dimensions of failure -- it's just a temporary event whenever it happens to occur. I also often debate on the pros and cons of corporate citizenship with friends, and try to emphasize on the mobility of today's workforce -- at least the way I see it. Is there any use of such an approach these days, and how should an enterprise go when attracting and retaining it's most valuable HR assets? Does the individual really count at the bottom line? 19. Get back on your feet fast! "Russian military planes flew undetected through the U.S. zone of the Arctic Ocean to Canada during recent military exercises, a senior Air Force commander said Saturday. The commander of the country's long-range strategic bombers, Lieutenant General Igor Khvorov, said the U.S. Air Force is now investigating why its military was unable to detect the Russian bombers. They were unable to detect the planes either with radars or visually," he said." SpaceWar.com, and several other sites/agencies also picked up the story, still its truthfulness, excluding the lack of coverage, can always be questioned, as "by the end of the year, two more Tu-160s will be commissioned for the long-range strategic bomber fleet, Khorov said." So, while I agree with him on the visual confirmation issue, such an achievement is hell of an incentive for commissioning more planes, isn't it? Moreover, should the what used to be, the world's largest radar - The Over-The-Horizon Backscatter Radar have been scrapped given Iran's (and not only) nuclear ambitions, or the ongoing space warfare doctrine would be the logical successor in here? Let's for instance assume it actually happened, and take the reverse approach -- it actually happened in Russia too, back in 1987, and it wasn't a senior air force commander that did it, if he did, but 19 years old Mathias Rust who landed on the Red Square itself. More details will follow for sure, so stay tuned, meanwhile take a look at Google Earth's Community spot link on Mathias's landing. Nice article on the topic, and a great quote as well "Scanning containers full of sneakers for a 'nuke in a box' is not a really thoughtful thing." "Rescue and Recovery is a one button recovery and restore solution that includes a set of self recovery tools to help users diagnose, get help and recover from a virus or other system crashes quickly, even if the primary operating system will not boot and you are remote from your support team." The video ad is indeed fascinating, and while their Embedded Security Subsystem 2.0 "locks your sensitive data behind hardware-based encryption", you'd better take advantage of their utilities options and try to avoid such a weak positioning in respect to malware. The Virus Recovery Button seems to be directly targeting the masses and totaly removing the complexity issue by introducing a button-based solution to malware -- dangerous as backups and their idea could have proven useful during the first generations of malware. Anti virus signatures, response time, and various other proactive malware prevention approaches such as, IPS, buffer overflow protection are among today's most widely discussed approaches when dealing with malware, and of course, the principle of least privilege to user accounts. But why the anti virus button when it can be an anti-hacker one? I feel they'd better stick to their OEM agreements and find other ways to achieve competive advantage in pricing than providing a false sense of security. In my recent "Malware - future trends" research I mentioned on the fully realistic scenario of having your security solution turn into a security problem itself. While this is nothing new, in this case we have a misjudged security proposition, as recovering to a pre-infection state doesn't necessariry mean confidentiality of sensitive personal/financial information wouldn't be breached by the time the user is aware of the infection, if it ever happens of course. Moreover, Lenovo was recently under scrutiny as "The U.S.-China Economic Security Review Commission (USCC) argues that a foreign intelligence like that of the Communist Party of China (CPC) can use its power to get Lenovo to equip its machines with espionage devices. Lenovo has strongly declined that it is involved in any such activities", and while they eventually reached a consensus on using the machines on unclassified systems only, it doesn't mean they aren't exposed to a wide variety of threats going beyond China backdooring them, such as Zotob over border-screening systems at airports. As a matter of fact, the rival PC/notebook propositions might still be owned by U.S companies, but are mostly assembled in China these days -- too much hype for nothing. Digital forensics have always been a hot market segment, whereas the need for a reliable network based forensics model given main Internet's insecurities such as source address spoofing and the lack of commonly accepted security events reporting practices is constantly growing as well. Information acqusition, analysis and interpretation in the most reliable and efficient way is often among the desired outcome -- and of course figure out what has been happenning at a given historical moment in time or in real-time if applicable. In a previous post related to "Detecting intruders and where to look for" I mentioned lots of resources regarding the topic, and tools to take advantage of, if in need. In respect to cell phones and various related privacy issues, excluding the physical forensic analysis that could be successfully performed, there's a growing discussing on whether a "suspect's" physical location should be revealed though a mobile-phone carrier -- segmented requests are the most efficient and socially-conscious ones I think. "The portable CellDEK® acquires data from over 160 of the most popular cell phones and PDA's. Built to perform in the field (not just in the lab), investigators can immediately gain acces to vital information. This saves days of waiting for crucial data to come back from a crime lab. The CellDEK software automatically performs forensic extraction of the following data: Handset Time and Date, Serial Numbers (IMEI, IMSI), Dialed Calls, Received Calls, Phonebook (both handset and SIM), SMS (both handset and SIM), Deleted SMS from SIM, Calendar, Memos, To Do Lists, Pictures, Video, and Audio." Nothing surprising as there are many other freeware applications/ways to do cell phone forensics (full list can be found at Sergio Hernando's blog), but what made me an impression was its usefulness by covering over 160 models, portability due to its size and capabilities, and that up to 40 adapters may be stored in the system’s built-in rack. Some challenges I see to today's forensic investigators are the sophistication of publicly available encryption/steganographic tools, the Internet acting as a online HDD opening opportunities for dead-drop places, and communications that went over covert channels. On my wislist however, has always been the company's Forensic MD5, as it basically "swallows" data in a timely manner -- a bad toy in the hands of a insider going beyond average types of removable media, and in moments where minutes count. As a matter of fact, a forensic investigator's sophistication and expertise doesn't really count when the Mafia is still catching up on how to encrypt. Still, I'm convinced how some of his "operatives" are into far more sophisticated methods of communication than he is. Back in January I mentioned the possible acqusition of SiteAdvisor in my "Look who's gonna cash for evaluating the maliciousness of the Web?" post and it seems McAfee have realized the potential of this social-networking powered concept on a wide scale, and recently acquired SiteAdvisor -- this was meant to happen one way or another and with risk of being over-enthusiastic I feel I successfully spotted this one. Next to SiteAdvisor's pros and cons that I commented on, I also provided a resourceful overview of some of the current malware crawling projects out there, to recently find out that WebRoot finally went public with the Phileas spyware crawler, and that Microsoft's Strider Crawler came up with the Typo-Control project -- great idea as a matter of fact. What are some of the current/future trends in the information security industry? Are the recent flood of acquisitions the result of cheaper hardware and the utilization of open-source software, thus cutting costs to the minimum while the idea still makes it to the market? Have both, entry and exit barriers totally vanished so that anyone could get aspired of becoming a vendor without the brand at the first place? Excluding the big picture, it is amazing how uninformed both, end and corporate users are, yet another lack of incentive for security vendors to reach another level of solutions -- if it ain't broken, don't improve it. 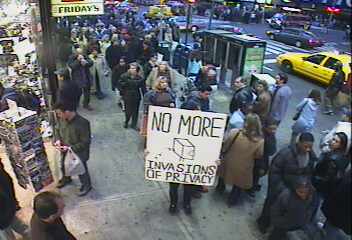 Moreover, what would the effect be of achieving the utopian 100% security on both, the market and the world's economy? On one hand we have "the worst year" of cybercrime, whereas spending and salaries are booming, and they should be as the not knowing how much security is enough, but trying to achieve the most secured state is a driving factor for decades to come. The bottom line is, the more insecurities, the more security spending, the higher the spending, the higher the growth, and with increasing purchasing power, corporate R&D, and government initiatives you have a fully working economic model -- going to war, or seeing terrorists everywhere is today's driving force for military/intelligence spending compared to the "Reds are everywhere" propaganda from both camps of course, back in the Cold War period. Fighting with inspired bureaucrats is always an issue as well. The Ansoff's Product/Market Matrix often acts as the de-facto standard for developing business opportunities, that is, of course, if you're not lead by a visionary aim, promote an internal "everyday startup" atmosphere to stimulate creativity, or benchmark against competitors. On the majority of occassions a security vendor is looking for ways to diversify its solutions' portfolio, thus taking advantage of re-introduced product life cycles and new sources for revenues. While there should be nothing wrong with that given a vendor is actually providing a reliable solution and support with it, I often argue on how marketable propositions centric business model is not good for the long-term competitiveness of the company in question. It's the judgement and competitors myopia that I'm talking about. In respect to the current information security market trends, or let's pick up the anti virus solutions segment, that means loosing sight of the big picture with the help of the mainstream media -- cross refferenced malware names, "yet another" malware in the wild, or supposed to be Russian hacker selling his soul for E-gold(cut the stereotypes here and go through the majority of recent statistics to see where all that phishing, spam and malware is coming from), is a common weakness of a possible decision-maker looking for acquisitions. Focusing on both, current trends, and current competitions is the myopia that would prevent you from sensing the emerging ones, the ones that would improve your competitiveness at any time of execution of course. The way we have been witnessing an overal shift towards a services based world economy in comparisson to a goods based one, in the informaiton security market services or solutions will inevitably profiliate in the upcoming future. When was the last time you heart someone saying "I don't need an anti-virus scanner, but an anti-virus solution, what's yours and how is it differentiated from the others I'm aware of"? Un-informed decisions, quick and cheap way to get away with the "security problem", or being totally brainwashed by a vendor's salesforce would result in enormous long-term TCO(total cost of ownership) problems, given someone actually figures a way to make the connection in here. "One trend is consolidation. "We're seeing the bigger players buying out many of the smaller companies. And I think the largest of the security firms are looking to provide a full range of enterprise services," says C. Warren Axelrod, director of global information security at Pershing, a Bank of New York Securities Group company. "The larger firms, like Internet Security Systems, Symantec and Computer Associates, are buying in many areas to complement what they have. They're basically vying for control of the security space." Axelrod is dead on, and consolidation is just as rampant among physical security vendors as it is in the IT world." I feel consolidation is happening mainly because different market segments are constantly getting crowded and mainly because it's very, very hard to get a name in the information security market these days, so instead of run for your own IPO, compete against market players whose minor modification may ruin your entire idea, you'd better get acquired one way or another. @stake is an example of how skilled HR runs away from the acquirer, at least for me counting the HR as the driving force besides the brand. "The second trend is convergence—the confluence of IT and physical security systems and vendors—which, in some sense, is another form of consolidation, only it's happening across the line that historically divided those two worlds." Tangible security is often favored by investors as it targets the masses, and the most visible example besides perimeter based defenses are the hardware appliances themselves. These days, there isn't a single anti virus, anti spam or anti spyware solution provider without a hardware appliance, but what's to note is how their OEM agreements are still working and fully applicable, it's all about greed, or let's avoid the cliche and say profit maximization -- whatever the market requires the vendors deliver! Very in-depth article, while I can argue that vendors are so desperate to "consolidate bids" on a national level, as they usually try to get as big part of the pie as possible. What's else to note is that the higher the market transparency, the more competitive the environment, thus greater competition which is always useful for the final user. In respect to heterogenity and homogenity of security solutions, and all-in-one propositions, the trade-offs are plain simple, cut total TCO by using a single vendor, get your entire infrastructure breached into by an attacker that would sooner or later find a vulnerability in it -- find the balance and try to avoid the myth that complexity results in insecurities, as it's a unique situation every time. What we're witnessing acquisition-to-solution turn-around periods of several months in response to an emerging market - the IM one, mobile anti-virus scanners seem to be the "next big thing", whereas it would take quite some time for this segment to develop, still you'd better be among the first to respond to the interest and the fact that there are more mobile phones capable of getting infected with a virus, than PCs out there -- 3G, 4G, mobile banking would fuel the growth even more, and these are just among the few issues to keep in mind. In a previous post, I also mentioned on a creative use of security intelligence information in Sophos's Zombie Alert service, and a product-line extensions, namely McAfee's bot killing system. What no one pictured would happen is emerging these days - vulnerabilities turning into IP and the overal commercialization of the security vulnerabilities market, and getting paid for getting hacked is a growing trend as well -- much more's to come for sure. The secrets to successful acquisitions? Try to stay on the top of security, not in line with it. Would somebody please buy this Titan 1 ICBM Missile Base? 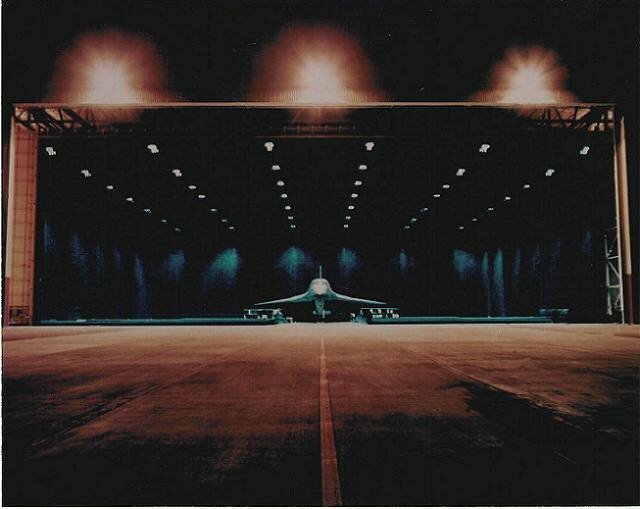 Trying to auction it again, as he seems to own the facility, it beats The Bunker in respect to a wide range of physical/electronic attack based security possibilities, and has the potential to turn into the perfect data center with enough space for war rooms on every level. "The only truly secure system is one that is powered off, cast in a block of concrete and sealed in a lead-lined room with armed guards - and even then I have my doubts." and you would probably need a network connection of some kind to make use if it -- that means insecurities posed out of open and hard to control external networks. I've once mentioned how nuclear weapons aren't the type of central military thinking problem the way they used to be during the Cold War's arms race, as there are many more emerging threats to consider, such as EMP, and Space warfare, but that's hell of an offer for a post-ColdWar underground complex, isn't it? "China has introduced regulations that make it illegal to run an email server without a licence. The new rules, which came into force two weeks ago, mean that most companies running their own email servers in China are now breaking the law. The new email licensing clause is just a small part of a new anti-spam law formulated by China's Ministry of Information Industry (MII)." While the commitment is a remarkable event given China's booming Internet population -- among the main reasons Google had to somehow enter China's search market and take market share from Baidu.com -- you don't need a mail server to disseminate spam and phishing attacks like it used to be in the old days. You need botnets, namely, going through CME's List, you would see how the majority of today's malware is loaded with build-in SMTP engine, even offline/in-transit/web email harvesting modules. You can often find China on the top of every recently released spam/phishing/botnet trends summary, which doesn't mean Chinese Internet users are insecure -- just unaware. What you can do is educate the masses to secure the entire population, and stimulate the growth of the local security market that everyone is so desperately trying to tap into. "..prohibiting use of email to discuss certain vaguely defined subjects related to 'network security' and ' information security', and also reiterate that emails which contain content contrary to existing laws must not be copied or forwarded. Wide-ranging laws of this nature have been used against political and religous dissenters in the past." It's like legally justifying the country's censorship practices through introducing the law, whereas I feel "network security" and "information security" attacks outside the homeland get favored, compared to internal ones, don't you? Forbidden fruits turn into dangerous desires on the majority of occasions, and you just can't control that, what's left to censor it. If you have missed the opportunity to buy yourself a portable Enigma encryption machine, or didn't know you could devote some of your CPU power while trying to crack unbroken Nazi Enigma ciphers, now is the time to consider another distributed computing cracking initiative I just came across to - "Assault on the Thirteenth Labour", part of the utopian Perplex City alternate reality game. "The story centers on a fictional metropolis known as Perplex City. The Receda Cube, a priceless scientific and spiritual artefact, has been stolen and buried somewhere on Earth, and the game offers a real-life $200,000 reward to whoever can find it." As a matter of fact, ever heard of Hive7? This is where the future is going, as I think virtual worlds intrigues result in a more quality real life, don't they? Still, it can also result in security problems with stolen virtual goods. The trend, given the popularity of these, will continue to emerge -- people, both rich and poor are putting hard cash into virtual properties and DoS attacks and phishing practices are already gaining popularity as well. Among the most popular stereotypes related to Cyberterrorism, is that of terrorists shutting down the Internet, or to put it in another way, denying access to the desperse and decentralized Internet infrastructure by attacking the Internet's root servers the way it happened back in 2002 -- knowing Slashdot's IP in such a situation will come as a handy nerd's habit for sure. Outages like these would eventually result in a butterfly effect, such as direct monetary losses and confidence in the today's E-commerce world. "The Internet is currently based on Internet Protocol version 4 (IPv4). Some organizations and countries are moving to an updated version of the protocol, version 6 (IPv6). IPv6 offers several advantages over IPv4. In addition to offering a vast amount of addresses, it provides for improved security features, including attribution and native IP security (IPSEC), as well as enabling new applications and capabilities. Some countries are moving aggressively to adopt IPv6. Japan has committed to a fully IPv6 based infrastructure by 2005. 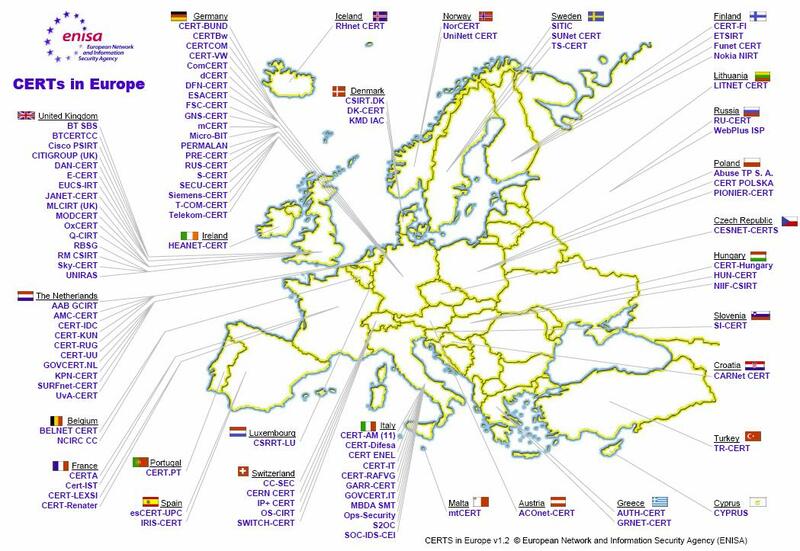 The European Union has initiated steps to move to IPv6. China is also considering early adoption of the protocol." In my previous "The current state of IP Spoofing" post, I mentioned that if you can spoof there's no accoutability, and you can even get DDoSed by gary7.nsa.gov. But until then we would have to live with the current situation, or keep building awareness on the issue of course. "DNS serves as the central database that helps route information throughout the Internet. The ability to route information can be disrupted when the databases cannot be accessed or updated or when they have been corrupted. Attackers can disrupt the DNS by flooding the system with information or requests or by gaining access to the system and corrupting or destroying the information that it contains." "Our study is based on packet captures and logs from attacks reported to have a volume of 2.8Gbps. We study this data in order to further understand the basics of the reported recursive name server amplification attacks which are also known as DNS amplification or DNS reflector attacks. One of the networks under attack, Sharktech, indicated some attacks have reached as high as 10Gbps and used as many as 140,000 exploited name servers. In addition to the increase in the response packet size, the large UDP packets create IP protocol fragments. Several other responses also contribute to the overall effectiveness of these attacks." "In order to create an 8Gbps attack using carefully crafted zones, you need no more than 200 home PCs on basic DSL lines," Joffe said. That math assumes about 200 bots eating up a full 512Kbps connection with lots of 60-byte DNS queries, each of which is amplified 70x into a 4,200-byte reply against the attacker's target. To put that in perspective, Russian hacking crews advertise that they will place the malware of your choice on 1,000 bots for a mere $25, according to the Internet Storm Center." No 0day necessary, but DDoS on demand/hire, and renting botnets are the practices worth mentioning the way I pointed them out in my Future trends of malware research. "Of the many routing protocols in use within the Internet, the Border Gateway Protocol (BGP) is at greatest risk of being the target of attacks designed to disrupt or degrade service on a large scale. BGP is used to interconnect the thousands of networks that make up the Internet. It allows routing information to be exchanged between networks that may have separate administrators, administrative policies, or protocols." "We centrally note that no current solution has yet found an adequate balance between comprehensive security and deployment cost." Still, IETF's Routing Protocol Security Requirements (rpsec) are worth the read. What I truly hope, is that any of these guidelines wouldn't end up on a paper tiger's desk for years to come, namely they would eventually get implemented and Internet2 would end up dealing with a more advanced set of security problems compared to the current ones. My point is that, while only the paranoid survive, seeing ghosts here and there is like totally missing the big picture -- Richard Clarke for instance once said that "If there's a major devastating cyberspace security attack, the Congress will slam regulation on the industry faster than anything you can imagine. So, it's in the industry's best interest to get the job done right before something happens." But when, and how it would affect the commercial side of the question, that is how visionary are the vendors themselves to anticipate the future in here? No one would want to shut down the Internet as terrorists are actively using it for propaganda, communication, and open source intelligence. Still, the deceptive PSYOPS initiated by terrorist sympathizers or wannabe such is what will continue to hit the deadlines -- just don't miss the big picture! UPDATE : The post just appeared at LinuxSecurity.com "On the Insecurities of the Internet"
In one of my previous posts "A top level espionage case in Greece" I blogged about two cases of unlawful interception -- good old espionage practices in modern environment. What's also worth mentioning is the rush for lawful interception in the post 9/11 world, that is free spirits get detained for singing or being nerds, activities you can hardly datamine at the bottom line, and then again, so what? "Australia has passed new laws that would allow police to intercept phone calls, e-mails, and text messages of people who are just suspected of a crime. Attorney-General Philip Ruddock says the new laws account for challenges posed by technology; in December 2005, Middle Eastern and white supremacist youth used SMS messages to coordinate during race riots. However, civil liberties groups warn that the laws could allow police to target the privileged conversations of lawyers and journalists or to target innocent people for investigation. Australia has been tightening security laws since the September 11, 2001, terrorist attacks in the US." Whether compliance, or new revenue sources from a telecom/network giant's point of view, lawful interception has always been happening. A single vendor's box can easily monitor over 30,000 DSL connections, and while the problem still remains processing power and decentralized/encrypted communications, steganography as a concept has always been the biggest downsize of any approach from my point of view. At the bottom line it would eventually provide the ECHELON's community with more information to take hold of, whereas retaining or trying to data mine it still remains an abstract concept whose only justification has been the contradictive Able Danger scenario. It is my opinion that erasing terrabytes of intelligence information on a terrorist group is a pure science-fiction scenario, they way there's a desperate need for a clear ROI in respect to CCTV cameras. Don't over-empower the watchers for the sake of your Security, or you'll end up with a false feeling of it. 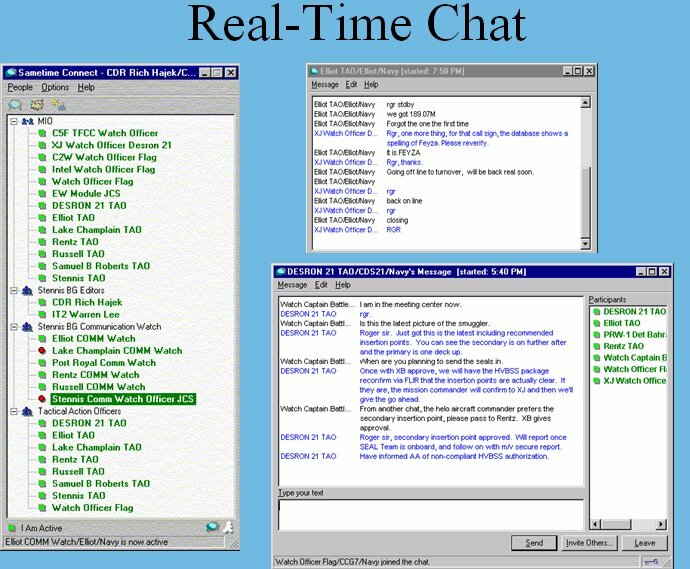 "The US Army, Navy, and Air Force have deployed protected interoperable instant messaging (IM) systems among the threebranches. Army Knowledge Online, Navy Knowledge Online, and theAir Force’s Knowledge Management Portal built the IM systems for 3.5 million users from Bantu's Inter-domain Messaging (IDM)gateway, a policy-driven with role-based access controls. The system will carry messages over sensitive and secret networks, and can populate a user's contact list with appropriate officials in the chain of command. Intelligence agencies will hook into the system to work with the military, and the Department of Homeland Security is also interested in the IM system." Flexible military communications have always been of great importance, and flexibility here stands for securely communicating over insecure channels -- IP based communications. While you might have not heard of Bantu before, to me their real-time network for interagency communication sounds more like a security through obscurity approach -- temporary gain and possible long term disaster. Could the instant communication finally solve the Intelligence Community's information sharing troubles? 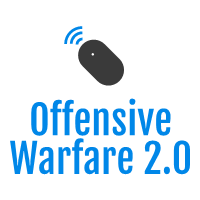 Lotus Sametime and mIRC seem to be only survirors, still the implications of using the above in respect to the powerful execution of various network centric warfare events, would definitely raise not just my eyebrows for sure. 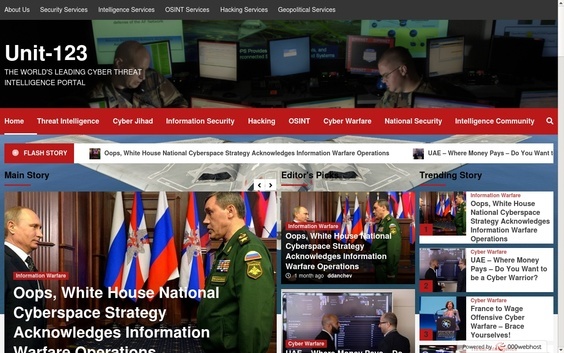 Two years ago, led by IMLogic a consortium on IM threats was established, the IM Threat Center, an indispensable early warning system for anything related to IM malware. Would age-old IM threats re-introduce themselves on military networks like never before? Whatever the outcome, information overload wouldn't necessarily be solved through instant communications, but in a combination with powerful visualization concepts as well. The post recently appeared at LinuxSecurity.com "IM me" a strike order"
"German retail banker Postbank will begin using electronic signatures on e-mails to its customers to help protect them from phishing attacks." Catching up with the phishers seems to be a very worrisome future strategy. Electronic Signatures by themselves are rarely checked by anyone, and many more attack vectors are making the idea of this totally irrelevant. Moreover, a great research "Why phishing works" was recently released and it basically outlines basic facts such as how end users doesn't pay attention to security checks, if there's a definition of such given the attack vectors phishers have started using recently. In some of my previous posts "Security threats to consider when doing E-Banking", and "Anti Phishing toolbars - can you trust them?" I mentioned many other problems related to this bigger than it seems problem, what you should also keep an eye on is the good old ATM scam I hope you are aware of. "Phishing attacks have led 80% of Germans to distrust banking related e-mails, according to TNS Infratest." Moreover, "Postbank's electronic signature service isn't possible with web-based e-mail services provided by local Internet service providers such as GMX GmbH and Freenet.de AG, according to Ebert. One exception is Web.de"
Thankfully, but that's when you are going in exactly the opposite direction than your customers are, while trying to estalibish reputable bank2customer relationship over email. Listen your customers first, and follow the trends, and do not try to use the most popular dissemination vector as a future communication one. I feel there's a lot more to expect than trying to re-establish the communication over a broken channel, as far as E-banking is concerned. I try to extensively blog on various privacy and Internet censorship related issues affecting different parts of the world, or provide comments on the big picture they way I see it. Spending millions -- 6 million euro here, and I guess you also wouldn't let someone spread the word whether the cover is fancy enough for a vote or not -- on political campaigns to directly or indirectly influence the outcome of an election, is a common practice these days. Whereas, trying to build a wall around a government's practices is like having a tidal wave of comments smashing it. I recently came across the following article : "
"Singapore has reminded its citizens that web users who post commentary on upcoming elections could face prosecution. Election commentary is tightly controlled under Singaporean law; independent bloggers may comment on the election, but must register their site with the Media Development Authority (MDA)." I'm so not into politics -- and try not to -- but threatening with prosecution on commentary, registering users, while not first "introducing yourself" as "During the November 2001 elections, Singapore's political parties limited their use of the Internet to posting schedules and candidate backgrounds." isn't the smartest long-term political strategy ever, don't you think? "A court in Guangzhou, capital of the southern Chinese province of Guangdong, has upheld a lower court's guilty verdict against Yan Yifan for selling stolen passwords and virtual goods related to the online game "Da Xihua Xiyou.The court upheld a $870 US fine, arguing that victimized players had spent time, energy, and money to obtain the digital items Yan sold. Yan stole the players' information while an employee for NetEase.com, the company behind the game." So, it's not just 0days, Ebay/PayPal accounts, and spyware market entry positions for sale -- but virtual world goods as well. While it's not a top espionage case, or one compared to the recent arrest of "two men, identified as Lee and Chang, on charges of industrial espionage for downloading advanced mobile phone designs from employer Samsung for sale to a major telecommunications firm in Kazakhstan", insiders still represent a growing trend that according to the most recent FBI's 2005 Computer Crime Survey, cost businesess $6,856,450. Then again, failing to adequatly quantify the costs may either fail to assess the situation, or twist the results based on unmateliazed, but expected sales, as according to the company, "Samsung could have suffered losses of $1.3 billion US had the sale been completed." Trust is vital, and so is the confidence in Samsung's business case. Or has it actually? In one of my previous posts "Security quotes : a FSB (successor to the KGB) analyst on Google Earth" I mentioned the usefulness of Google Earth by the general public, and the possibility to assist terrorists. The most popular argument on how useless the publicly available satellite imagery is that it doesn't provide a high-resolution images, and recent data as well -- that's of course unless you don't request one, but isn't it bothering you that here we have a street-side drive-by POC? The recently introduced Windows Live Local Street-Side Drive-by (A9's maps have been around for quite a while), is setting a new benchmark for interactive OSINT -- if any as this is also a privacy violation that can be compared with efforts like these if it was in real-time. Having had several conversations with a friend that's way too much into satellite imagery than me, I've realized that starting from the basic fact of targeting a well known or a movie-plot location doesn't really requires satellite imagery. I find that today's sources basically provoke the imagination and the self-confidence -- and hopefully nothing more! "Chief of the Indian Army General J.J. Singh warns that Google Earth could endanger national security by providing high resolution photographs of strategic defense facilities. The software could prove especially useful to countries that do not have their own satellite capabilities. Singh called Google Earth a shared concern for all countries, requiring all countries to cooperate to address the issue. Indian President APJ Abdul Kalam has also expressed concerns over Google Earth and national security." You can spend hours counting the cars in front of NSA's parking lot through public satellite imagery resources, still you would never get to see what's going on in there, I guess things have greatly changed since the days when tourists sent over the USSR, or exactly the opposite, to the U.S, would try to get hold of as many maps as possible finish the puzzle. In some of my previous posts on Cyberterrorism, I said that terrorists are not rocket scientists until we make them feel so, and I'm still sticking to this statement, what about you? As a matter of fact, Schneier is inviting everyone to participate in the Movie-Plot Threat contest -- stuff like terrorist EMP warfare, Nuclear truck bombs (the same story from 3 years ago), and other science fiction scenarios worth keeping an eye on. Terrorism is a profitable paranoia these days, that's constantly fuelling further growth in defense and intelligence spending, as satellite imagery is promoted for the bust of Bin Laden, whereas their infrastructure seems to pretty safe, isn't it? (More photos, 1, 2, 3, 4, 5, 6) I'd rather we have known parties as an adversary, the way it used to be during the Cold War, whose competition sent us in Space, and landed us on the Moon , instead of seeing terrorists everywhere and missing the big opportunity.